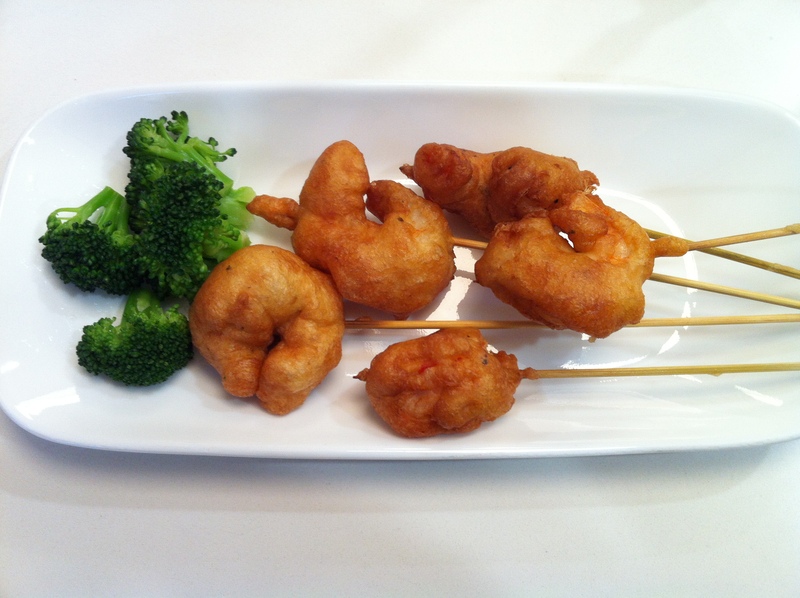 shrimp lollipop | what is clara eating today? Start heating the oil in medium heat. After washing the shrimp, blot with paper towel. Sprinkle with salt and pepper lightly. Make batter by mixing pancake mix, 1/8 teaspoon of salt, egg, syrup, oil, and water. Thread each shrimp on the top of kebob sticks. Dip in batter. Place the shrimp in the oil and fry for about 1-2 min or until the batter is golden brown.